Dear friends, my name is Linda. I am originally from Canada. I teach English to students of all ages! 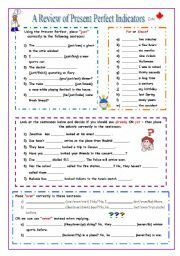 A worksheet to help kids describe a vacation they have taken. 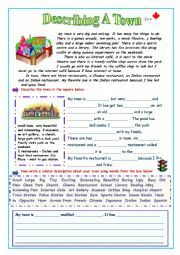 A worksheet designed for describing a town, city or village. A guided writing activity, part of my "Describing" series. 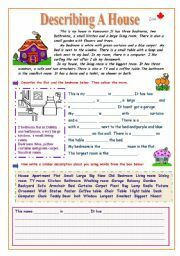 An activity designed to help describe a house and it�s rooms. 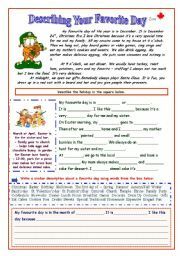 A worksheet designed to help students describe their favorite day of the year. Part of my Describing series. 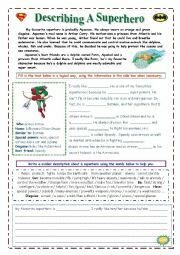 A worksheet designed to help students describe a picture. Part of my "Describing" series. 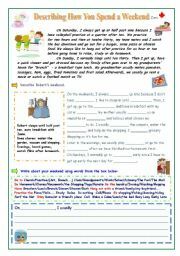 This once uses routines and the present simple in a practical way. 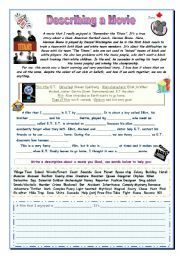 An activity designed to help students write about a movie/film they�ve seen. 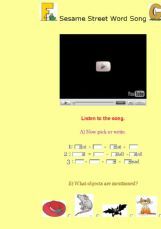 A rhyming song for young children to learn some vocabulary. An interactive activity and video on a typical English Breakfast! A listening activity about my hometown. Hope that you all enjoy it. A funny Christmas song by Shirley Temple. Happy New Year song by Abba. A fun activity for kids on the living room and prepositions.